We’ve all seen them, we’ve all ignored them. It feels like they always pop at the least convenient moment, right? Well, looks like we have reached the point where this should no longer be the case. 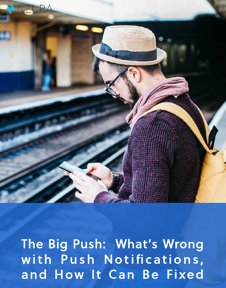 In the next whitepaper, we will make a quick review of the push notifications market, point out the main problem that is causing the market’s biggest pain point, and once we understand what the problem is, we will find that the solution is quite simple.